No time to wait? 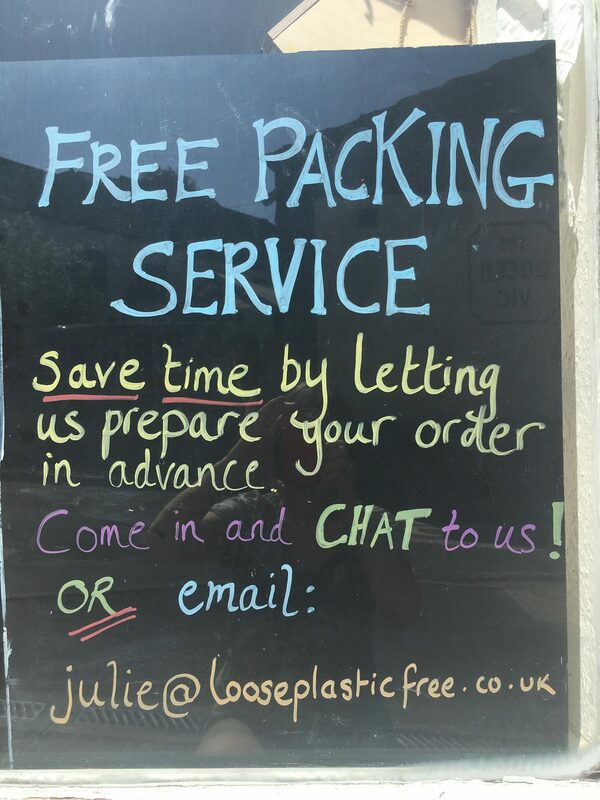 Come in to the shop with your containers and a list, (or write on the containers directly), or send a text or e mail and we can use our up cycled packaging (charges apply), and you can collect at a time to suit you. Delivery may be possible depending on location and size of order. For more details pop into the shop or get in touch via text or e mail. We are working hard in the background to make this service available as a 'pick list' from the website.